Periodontitis is a difficult disease of dental tissue, characterized by the emergence of pockets of bacteria in the settlement of existing pockets of bacteria is a growing, penetrate deeply and completely destroy the supporting tissue of teeth, and finally, comes to swaying and tooth loss. The most severe form of the destruction of the supporting tissues of the teeth I called periodontitis. What causes can lead to periodontal disease? 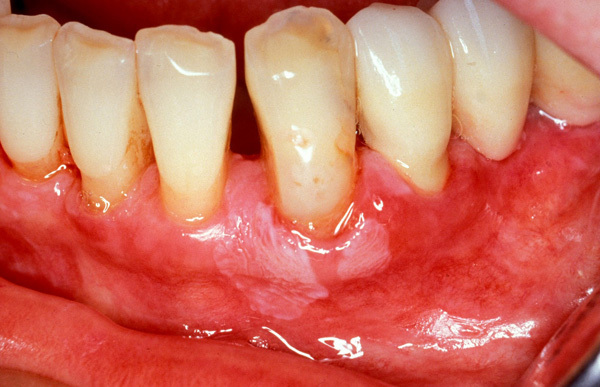 Symptoms of periodontal disease in the gingiva are: redness, swelling, pain and pockets. Alveolar (jaw) bone is resorbed, get the supporting apparatus of teeth, teeth dangle and fall. He feels uncomfortable halitosis.